An inexpensive bouquet brightens multiple rooms when you separate single stems—or groups of similar blooms—into small DIY displays. 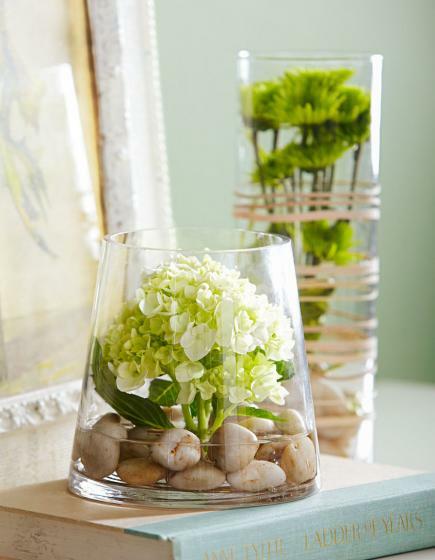 A glass cylinder vase protects a single hydrangea anchored in water with stones. In the background, button mums in a tall vase showcase linear stems as well as flowers. Rubber bands add unique style to the outside of the vase. 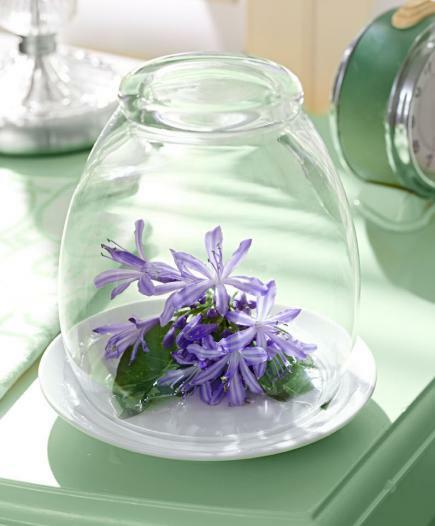 A shallow, water-filled saucer and an overturned vase make a do-it-yourself cloche that puts the focus on an agapanthus flowerhead. 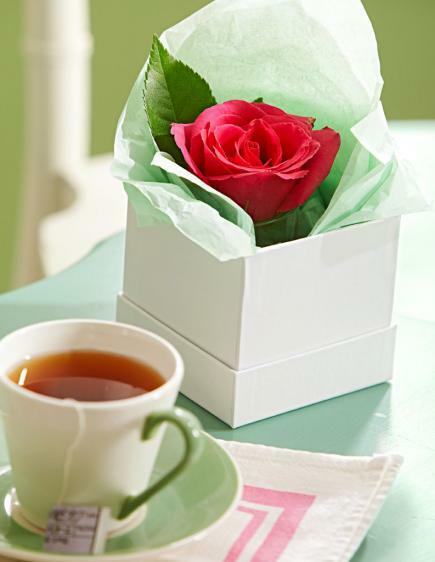 Prop a single rosebud in a water-filled glass votive holder, then wrap in tissue paper and place in a gift box. Its beauty will slowly open like a present. 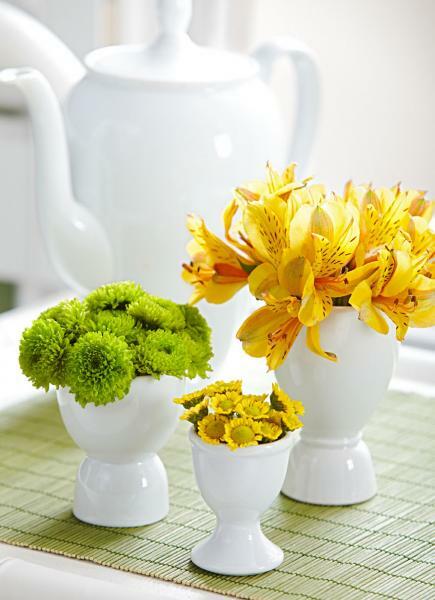 Egg cups make perfect vases for tiny filler flowers. Group cups for impact. 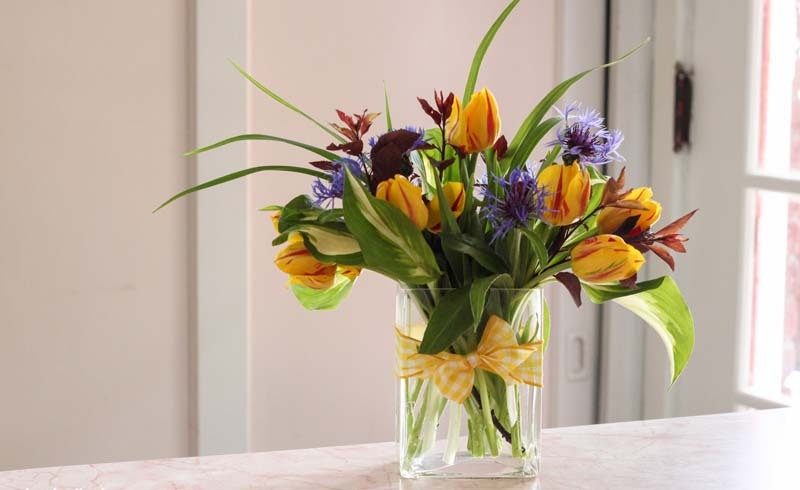 Here, alstroemeria, green button mums and miniature daisies brighten with sunny style. Toast with petals instead of vino. 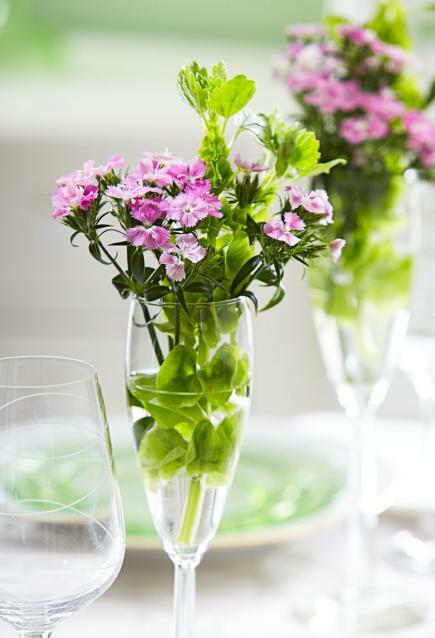 Wine glasses and flutes act as tabletop vases for cheerful mini bouquets of yellow-green bells of Ireland and pink wax flowers. 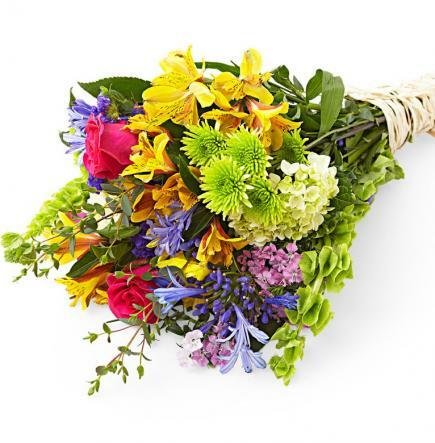 When you bring your bouquet home, group flowers by type. Then remove lower leaves from stems to reduce bacterial growth. 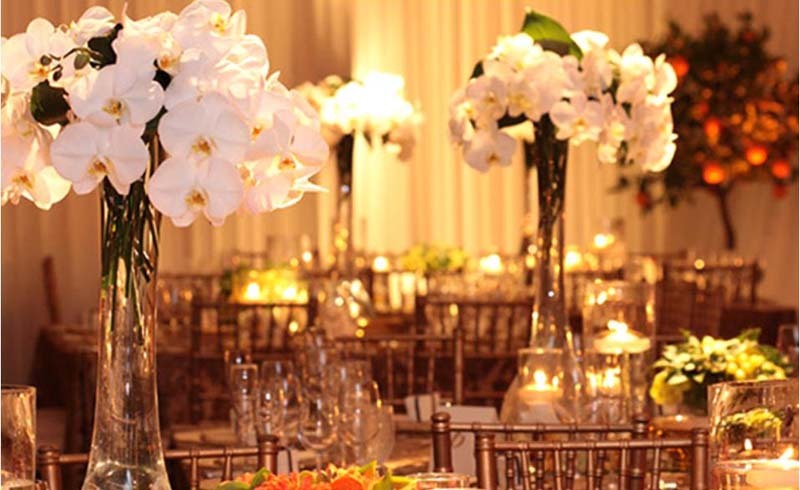 Show statement flowers singly; bunch fillers for impact.